The recent fascination in Finnish folklore studies with popular thought and the values and emotions encoded in oral tradition began with the realisation that the vast collections of the Finnish folklore archives still have much to offer the modern-day researcher. These archive materials were not only collected by scholars, but also by the ordinary rural populace interested in their own traditions, by performers and their audiences. With its myriad voices, this body of source material thus provides new avenues for the researcher seeking to penetrate popular thought. What does oral tradition tell us about the way its performers think and feel? What sorts of beliefs and ideas are transmitted in traditional songs and narratives? Perspectives from the study of mentalities and cultural cognition research provide a framework for investigating these issues. This collection of articles works from the premise that the cultural models which shape mentalities give rise to manifest expressions of culture, including folklore. These models also become embedded in the representations appearing in folklore, and are handed down from one generation to the next. 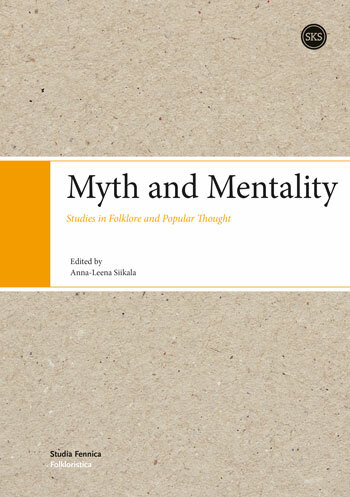 The topics of the book cover age-old myths and world views, concepts of witchcraft and the Devil stretching back to the Middle Ages, and the values and collective emotions of Finnish and Hungarian agrarian communities.